The volume here was down by a third this year bit it is very stylish and super typical of Puligny, with classical floral notes. Pure and balanced, it is an elegant rather than an overtly powerful 2012, with a lovely follow through on the palate. As far as supply is concerned it’s a topsy turvy position in 2012. 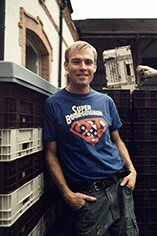 Overall, Ben has made plenty of wine but some cuvées are missing this year. The best volumes are with the Chassagne-Montrachet Premiers Crus, which are always a strong point chez Benjamin. From a standing start in 2007 Benjamin has made truly exciting progress, and has grown his business a little more quickly than expected as great opportunities have come his way. Yet each year he still doesn’t seem to have quite enough wine to satisfy demand. Wines marked † are bottled under stelvin screwcap closures. 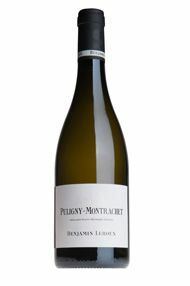 The Wine Advocate - The 2012 Puligny-Montrachet Village comes from several parcels around the appellation including Clos de Chateau in the heart of the village. It has a precise, stony bouquet with lifted scents of apple blossom emerging with aeration that should intensify after bottling. The palate is energetic and tense a real frisson in the mouth that leads to a vibrant, peach tinged finish that is absolutely gorgeous, even at this premature stage. This is just outstanding. Jancis - More stones than fruit on the nose at first, though there's a touch of citrus. 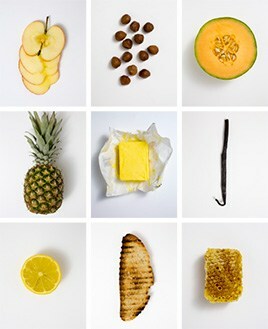 Full of energy and verve with the intense freshness that is missing in some whites this year. Refined and long.